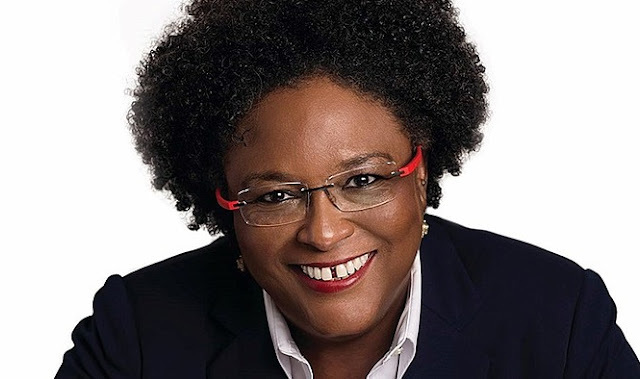 As a Dominican, let me say to my Barbados brothers and sisters, and particularly to PM Mottley, we recognize that this move by RUSM to Barbados is a tremendous loss to us and a boon to you. However, rest assured that it is untrue that the majority of Dominicans blame you for this move. We recognize that there are other issues at play. First and foremost, our PM, Roosevelt Skerrit, we know to be a pathological liar. We also know that he is thoroughly incompetent in his job and this move falls squarely in his lap. RUSM has been requesting of Mr. Skerrit's government a number of improvements that will help them, their faculty and students but he has been brushing them off for quite a while. Whether it was as a result of negligence, incompetence, malfeasance, or just the good old 'taking for granted' habits of his administration, Mr. Skerrit failed to make the necessary improvements in the country, like air access. Mr. Skerrit has refused repeatedly to do anything whatsoever about the fact that it takes too long to get in and out of Dominica. It can take me two days to get into Dominica from Toronto and I would imagine, RUSM students and their visiting parents would experience similar circumstances flying in from the States. Ironically, these improvements would have been to the benefit of the island as well, significantly increasing its ability to market itself to the wider travel community. The facts will remain that when Mr. Skerrit should have been sitting down with the executives at Adtalem/RUSM, he did what a coward does best; he ran away and sent in subordinates to represent him. 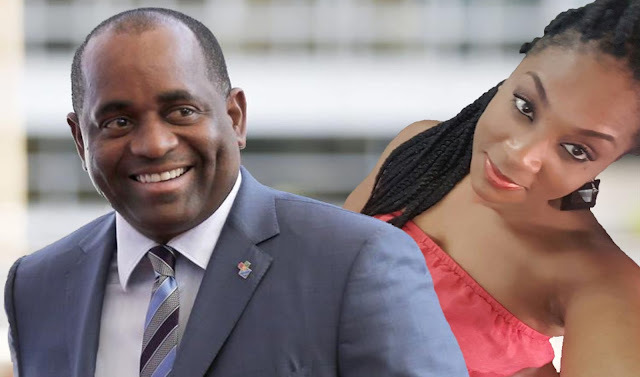 It must have been a disappointment to Mr. Skerrit, the narcissist that he is, when he discovered that his much-celebrated 'charm' and dimples were not enough to convince Lisa Wardell to keep RUSM in Dominica. Secondly, Mr. Skerrit is surrounded by advisors who constantly give him bad advice, two of whom are Barbadians and are close advisors to PM Mottley as well, so that should give her pause. Hartley Henry and Avinash Persaud, and Charlie Jong (a new addition) have been close advisors to Skerrit and were undoubtedly aware of the goings on within the Skerrit government vis-a-vis RUSM. In this equation add the developers of the Coverley Village who just happen to be the recipients of a milti-million dollar no-bid contract to construct homes in Dominica; another close associate of Mr. Skerrit. It is not inconceivable that they would have whispered something in the ear of PM Mottley, which would make them crooks to Skerrit. Should that prove to be correct, I am still not going to blame PM Mottley because it is her job to secure investment for Barbados and to better the lives of its citizens. That Skerrit failed to do the same for our country is not a burden that PM Mottley and Barbadians should bear. Lastly, in an effort to tamp down a groundswell of bad publicity, not to mention the negative political ramifications, Mr. Skerrit has thrust into the public square a disgraced former Trinidad Justice minister Herbert Volney, and his mouthpiece of Lebanese-descent, Senior Counsel Anthony Astaphan. Herbert Volney is a non-entity. Mr. Volney needs to explain the truth behind his firing by former PM Kamla Persad-Bissessar before he comes pontificating about anything. I implore you to dismiss Mr. Volney and his broadsides against PM Mottley and Barbadians as a whole. The same is true with Astaphan, who is more of a Senior Clownsel than a Senior Counsel. Mr. Astaphan is a political prostitute who would contort himself into whatever shape possible to suit a purpose. He is a vile individual who has called Dominicans of African decent who disagree with Mr. Skerrit 'cockroaches', 'garbage collectors', and 'kakadors', a pejorative creole word that describes black crayfish. Barbadians of African descent ought to prepare themselves for a verbal assault from Astaphan along similar lines. It is clear to me that both individuals (along with a supporting cast of characters that includes Dominica's Ambassador to the United States Vince Henderson) are on a mission to save Mr. Skerrit from being voted out of office at the next general elections in Dominica, constitutionally due by the end of 2019. Senior Clownsel Astaphan will continue to prostitute himself in servitude to Mr. Skerrit. Disgraced minister Volney recognizes that the walls are crumbling around Skerrit; they have been for a while but Hurricane Maria has exposed this emperor even more and the RUSM departure is the proverbial 'nail in the coffin' for Dominicans. We know that Mr. Skerrit is considering changes in his cabinet should he win the next elections; is Mr. Volney positioning himself for a post? Maybe, you can never tell with this opportunist, and Mr. Skerrit is known to reward his defenders. In closing, let me reiterate; the majority of Dominicans do not lay blame at the feet of PM Mottley for this turn of events. We know that our own government and its inaction have been complicit, resulting in this move by RUSM to Barbados. We will continue to keep the pressure on the Skerrit government.